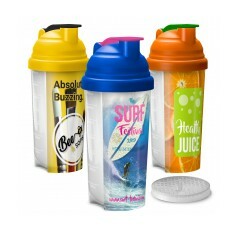 Our ever popular custom printed protein shakers can be personalised with your design. 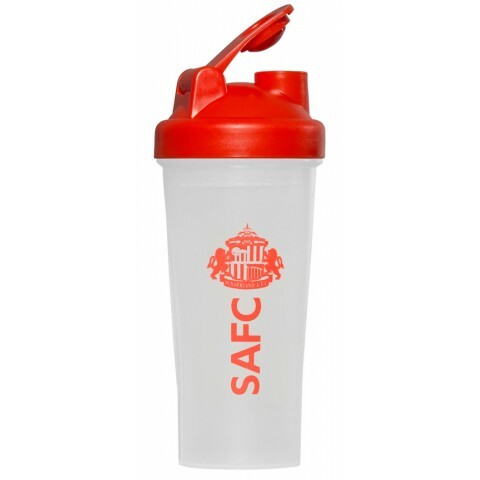 Perfect for use before or after a work out, our protein shakers will ensure your brand is promoted to everyone else keeping / trying to keep fit! Available in a range of shapes and sizes, give us a call to discuss your requirements. 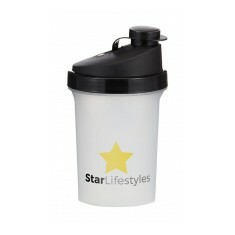 Prize of the month promotion or sign up giveaway, we have a range of custom printed protein shakers to choose from. 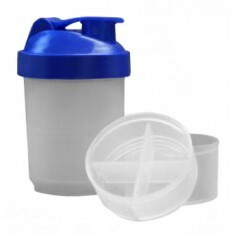 Traditional design combined with outstanding value for money, it’s easy to see why our custom printed Budget Protein Shaker is one of our favourites. 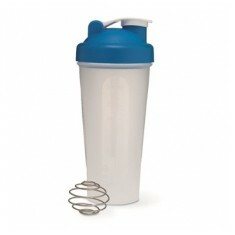 With an internal grid mixer, this protein shaker will ensure that your drink is lump free for your enjoyment. Customised with your design, this bottle will be at every gym trip to help your customers get the most from their session. Want to help encourage everyone to try and keep fit? 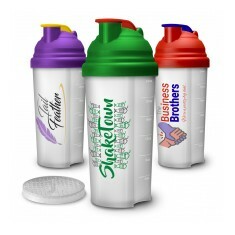 All of our promotional protein shakers can be branded with your company logo. From hardened athletes to gym beginners, protein shakes have become increasingly popular over the past few years and helping your customers to make the most of their work out is sure to be well received. 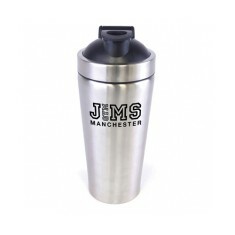 We do plenty of different choices here at MoJo from plastic with grid mixers, ones with ball mixers and even customised Metal Protein Shakers which would make an outstanding gift for your gym go-ers of the month. Want to check out some designs we have done previously? Check out our Work Journal section! 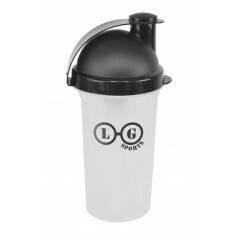 Pumped to get your very own personalised protein shakers? Give our sales team a call today to get them on their way to you. 700ml capacity. ML & FL oz graduation. Internal grid & spout in the lid. Official promotional Buchsteiner. 700ml capacity. Specially designed mesh inset. Screw on lid & flip over cap. Water tight seal. Metric & imperial graduations. UK stocked. Single walled stainless steel. Large branding area. ML and oz measurements. Supplied with wire ball. 3 lid colour choices. Hinged opening. 600ml capacity. 600ml capacity. Measurements down one side. BPA free. UK stocked. Two internal compartments. Hexagonal strainer. Anti-leak lid. Removable pill compartment. Full colour as standard. 700ml capacity. BPA Free.